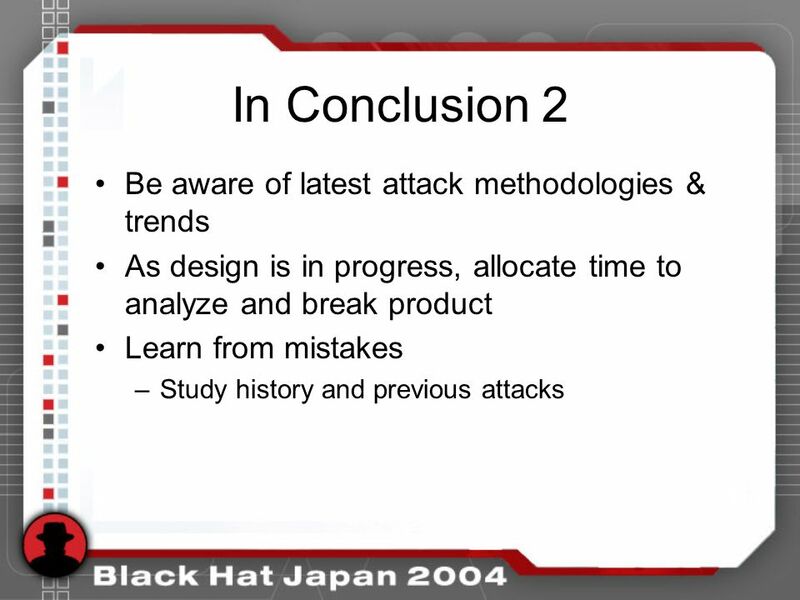 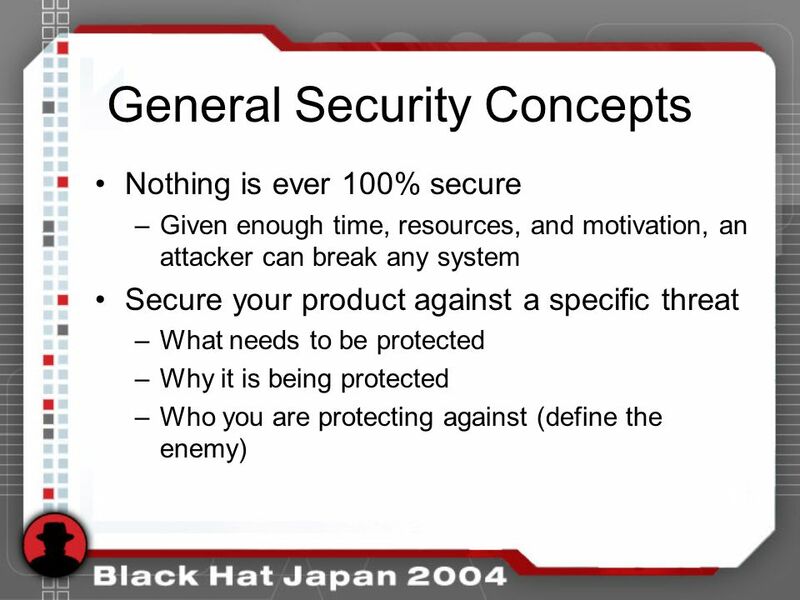 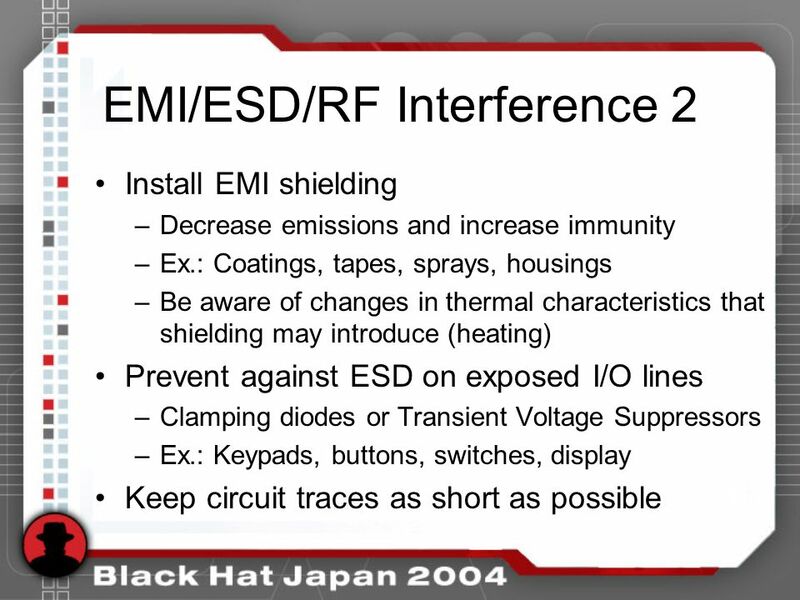 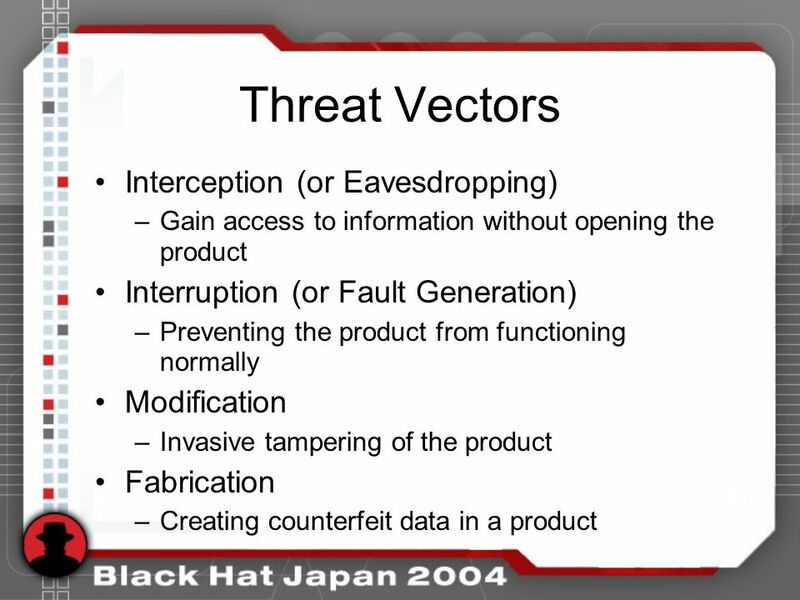 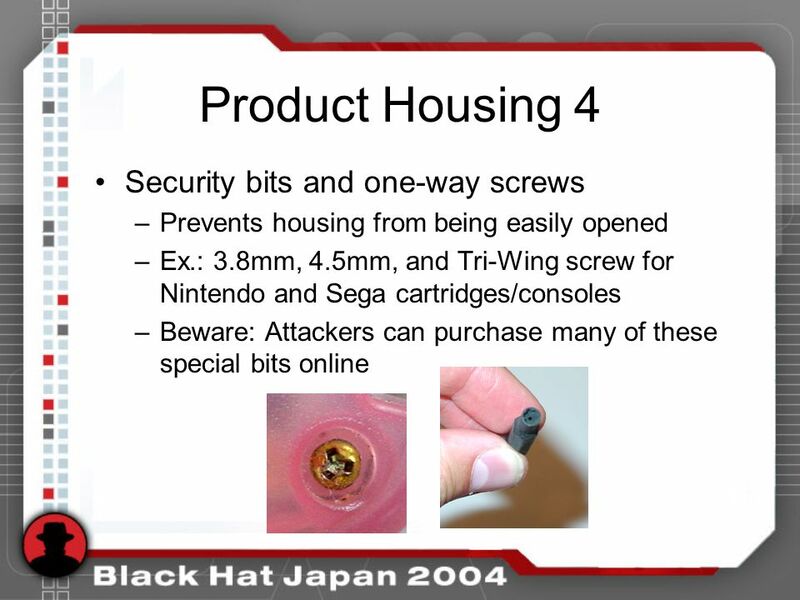 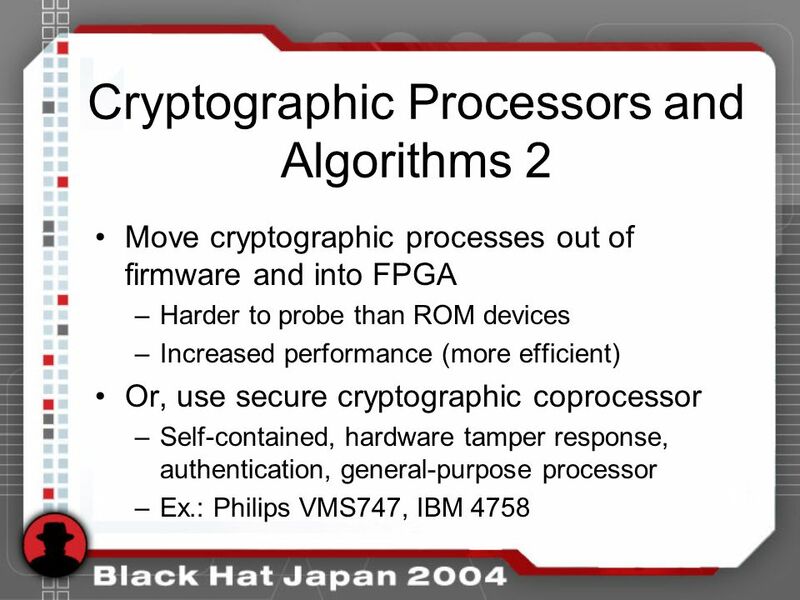 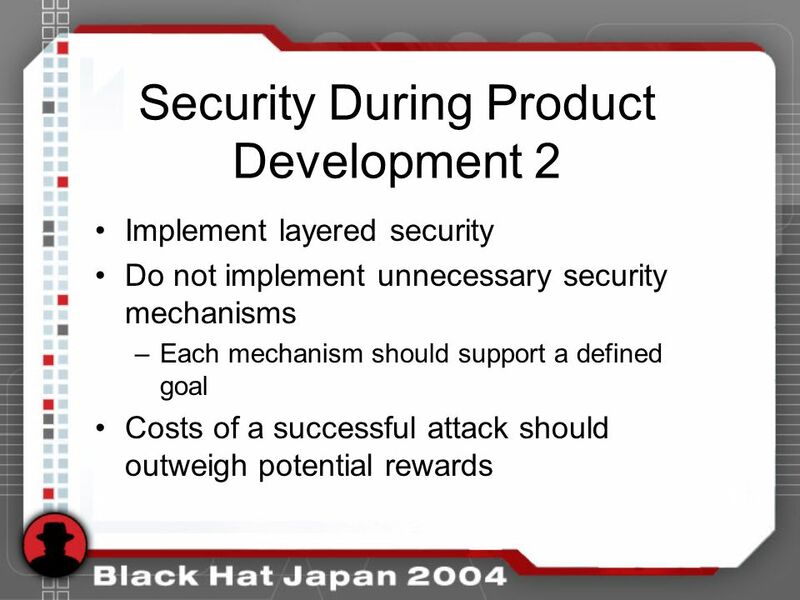 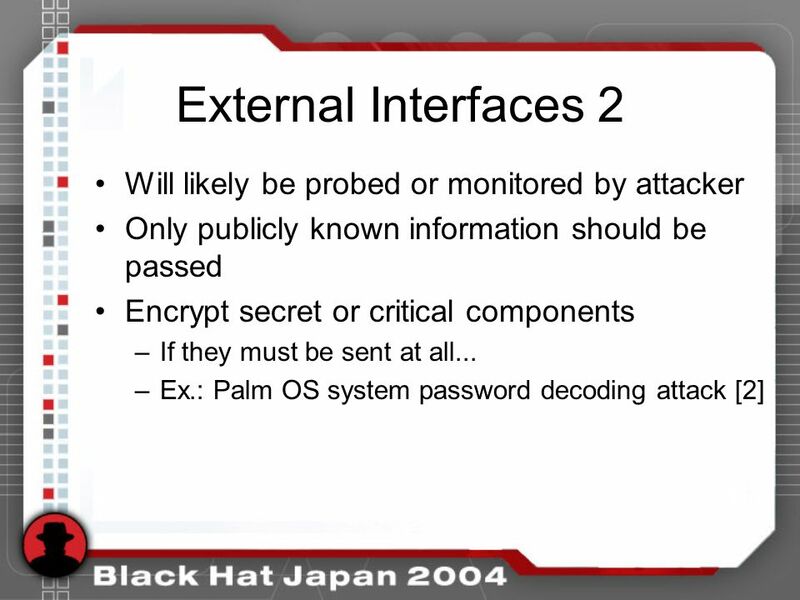 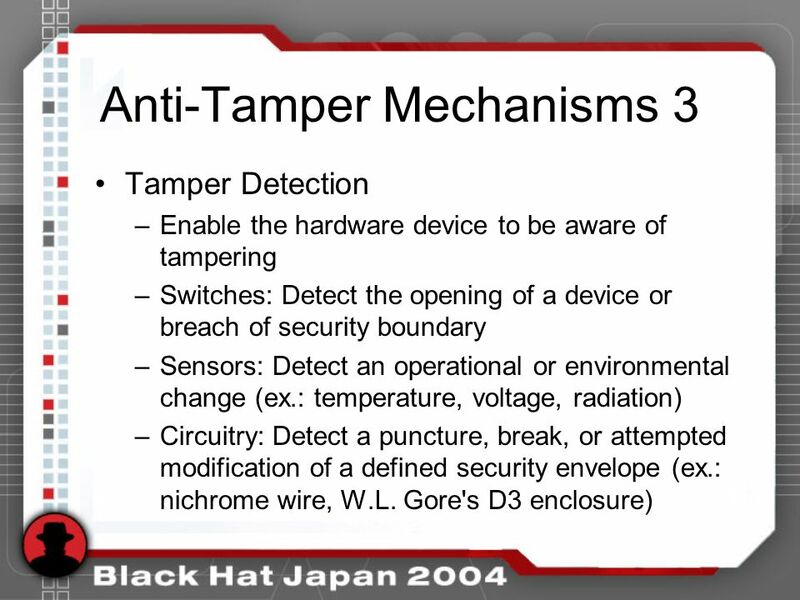 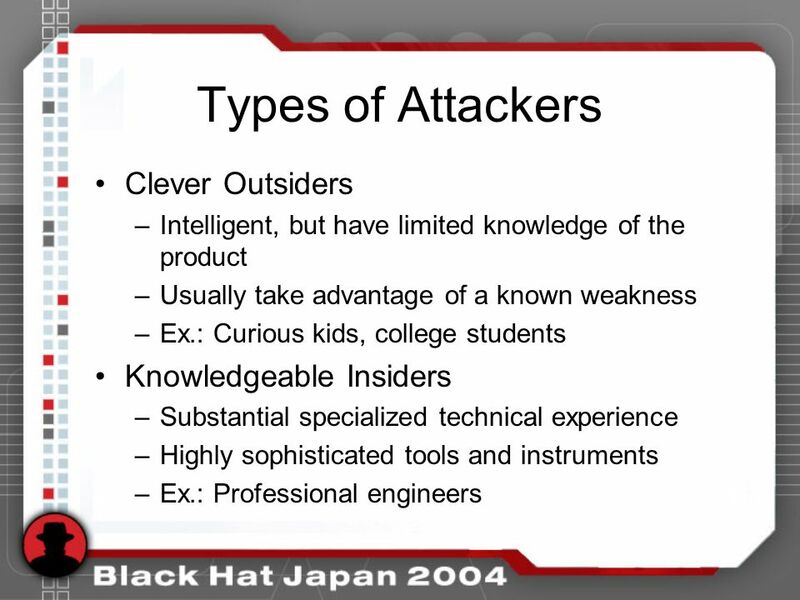 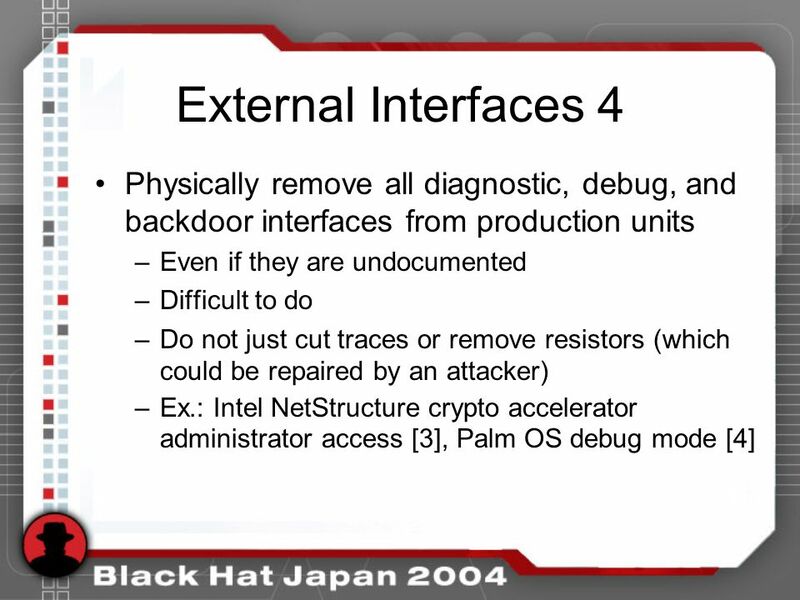 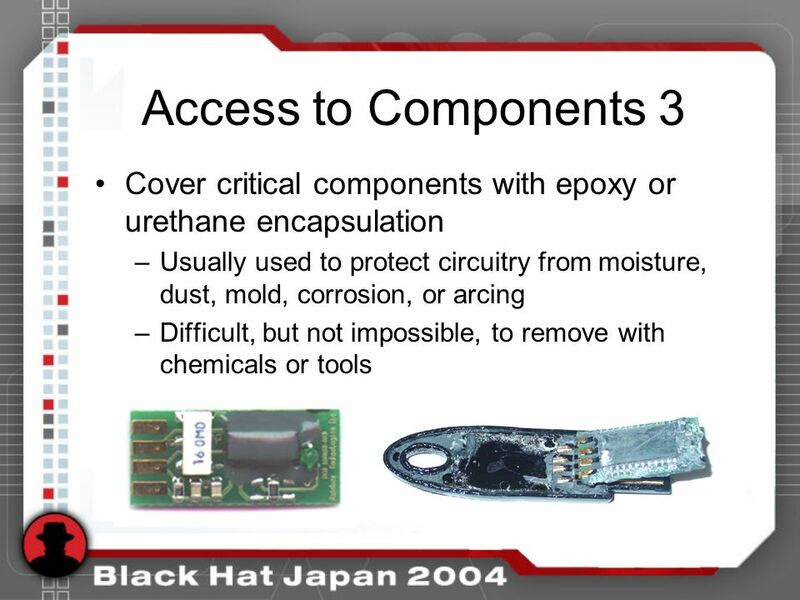 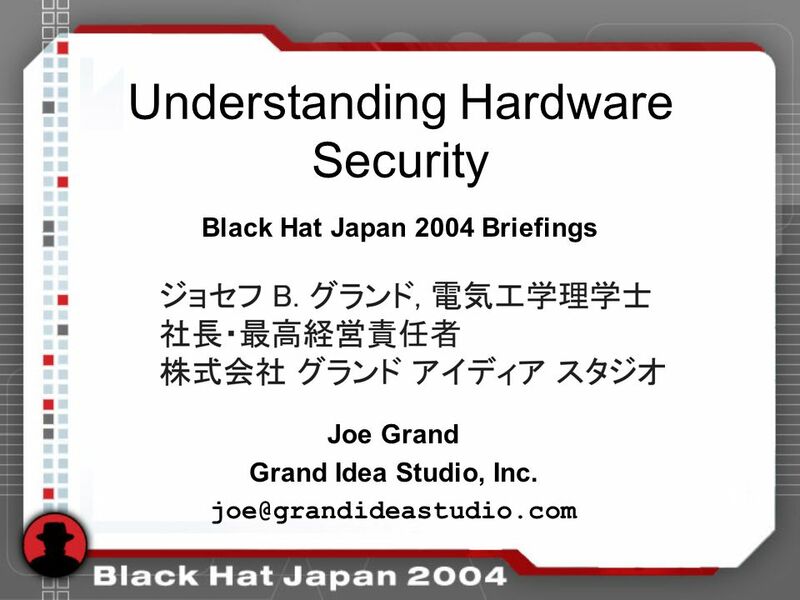 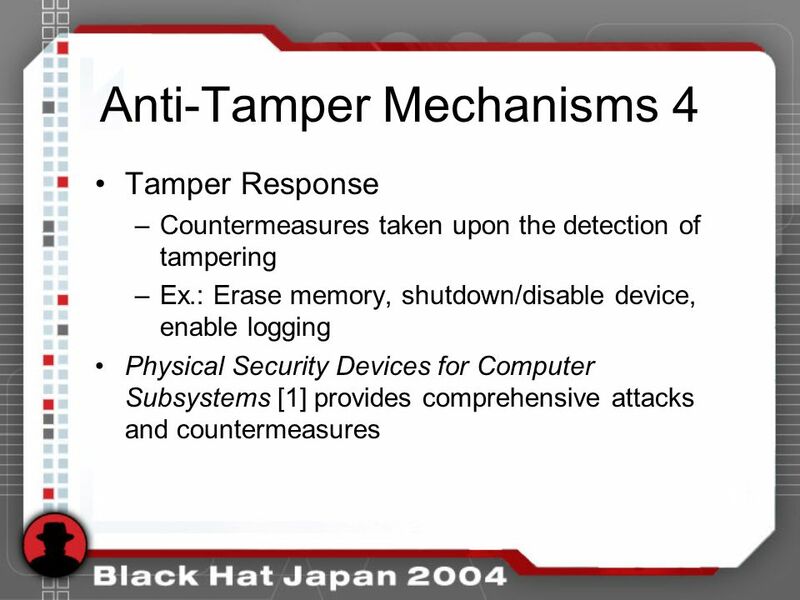 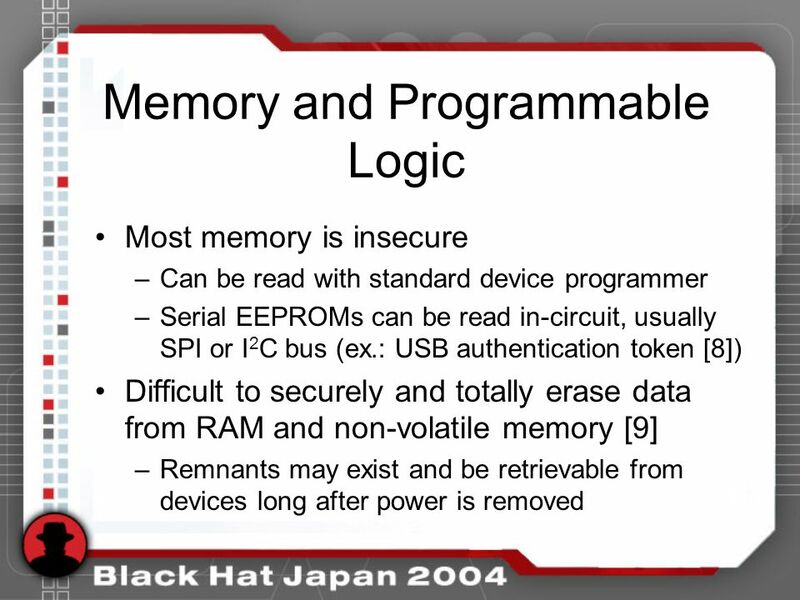 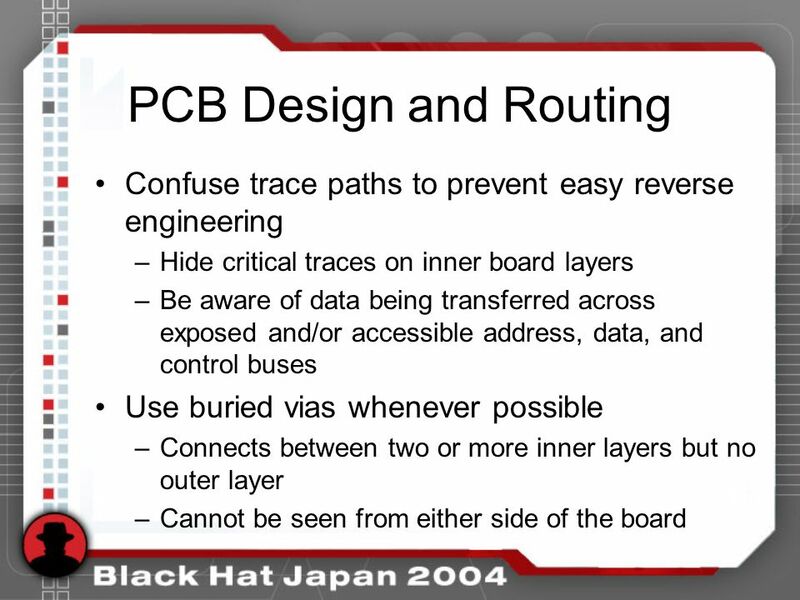 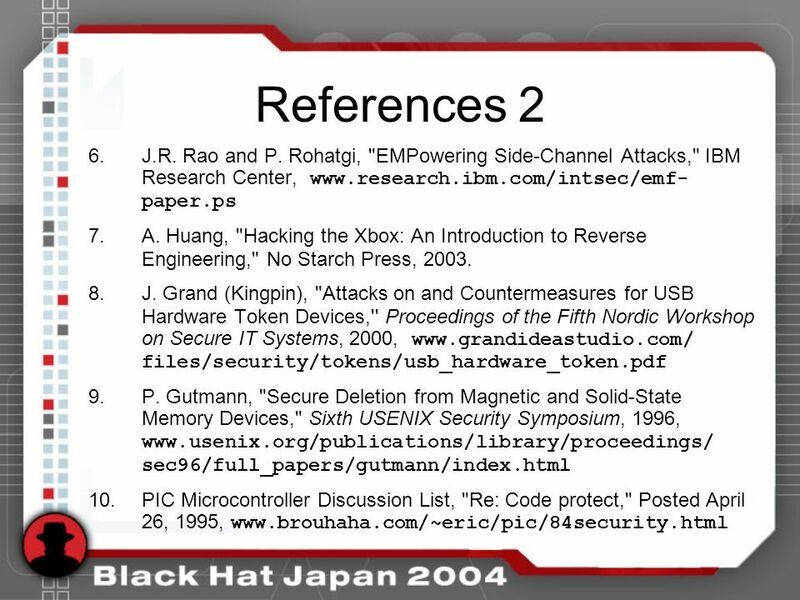 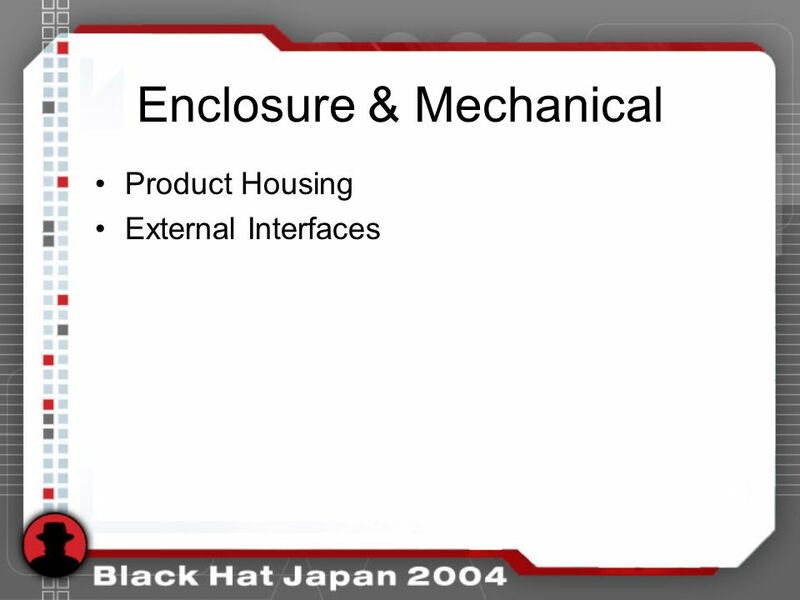 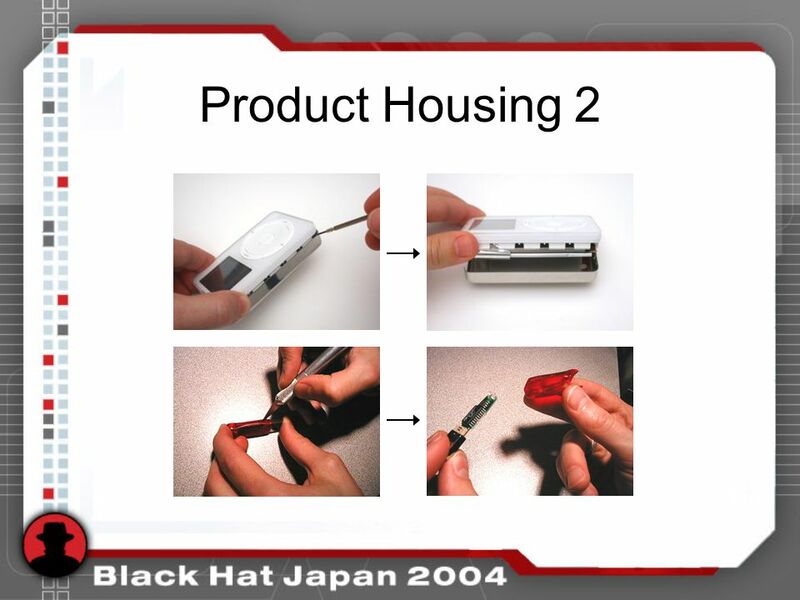 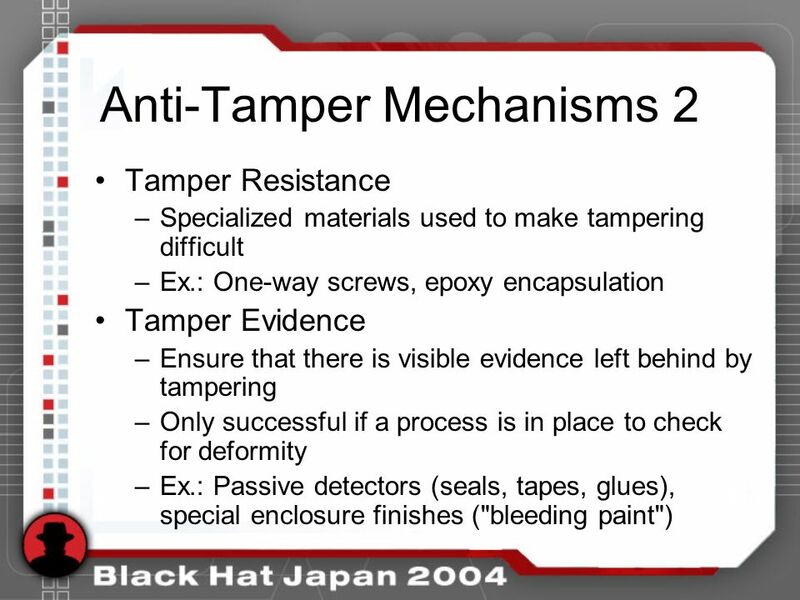 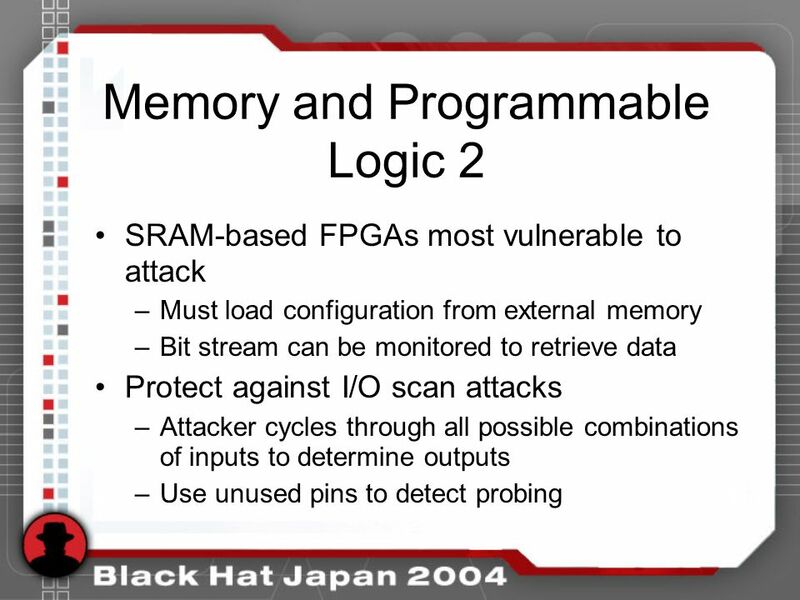 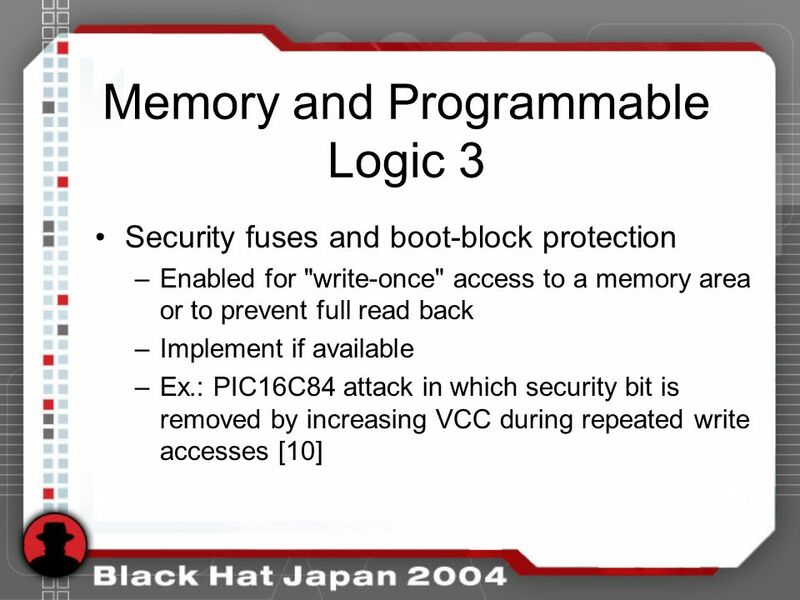 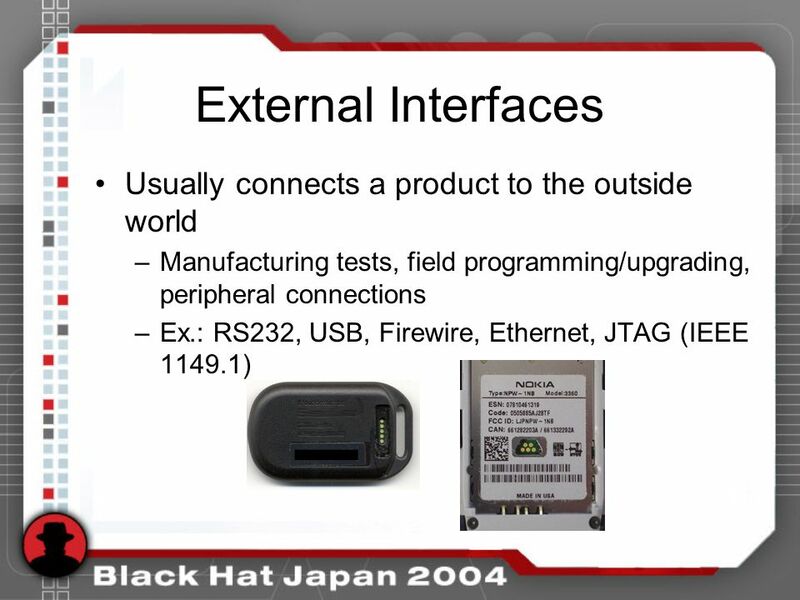 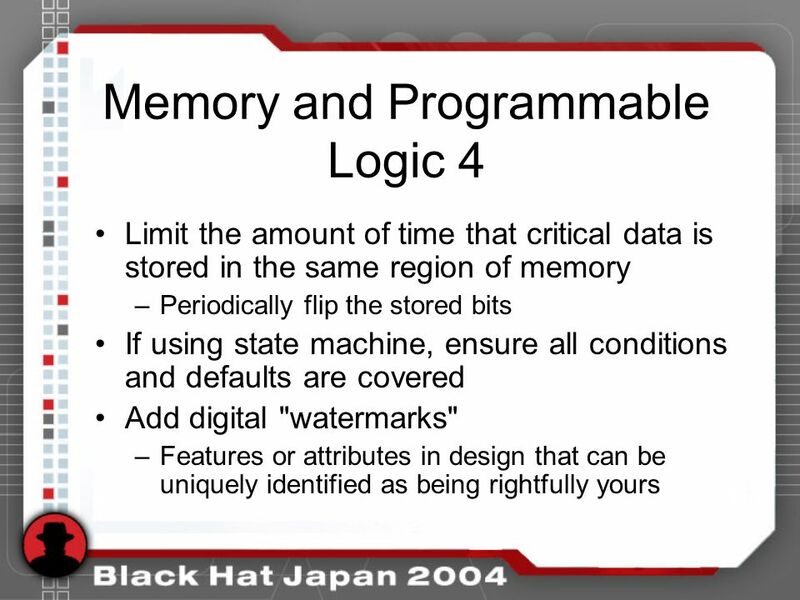 Understanding Hardware Security Joe Grand Grand Idea Studio, Inc. Black Hat Japan 2004 Briefings. 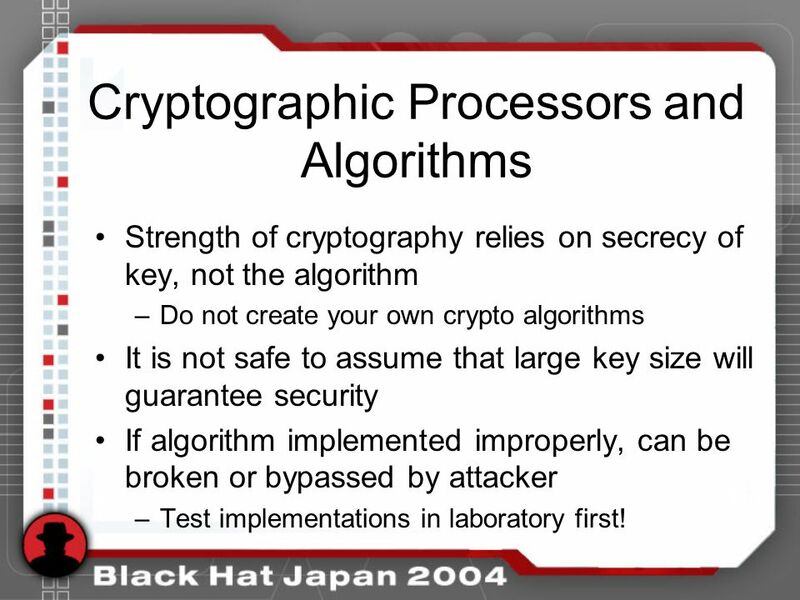 43 Cryptographic Processors and Algorithms Strength of cryptography relies on secrecy of key, not the algorithm –Do not create your own crypto algorithms It is not safe to assume that large key size will guarantee security If algorithm implemented improperly, can be broken or bypassed by attacker –Test implementations in laboratory first! 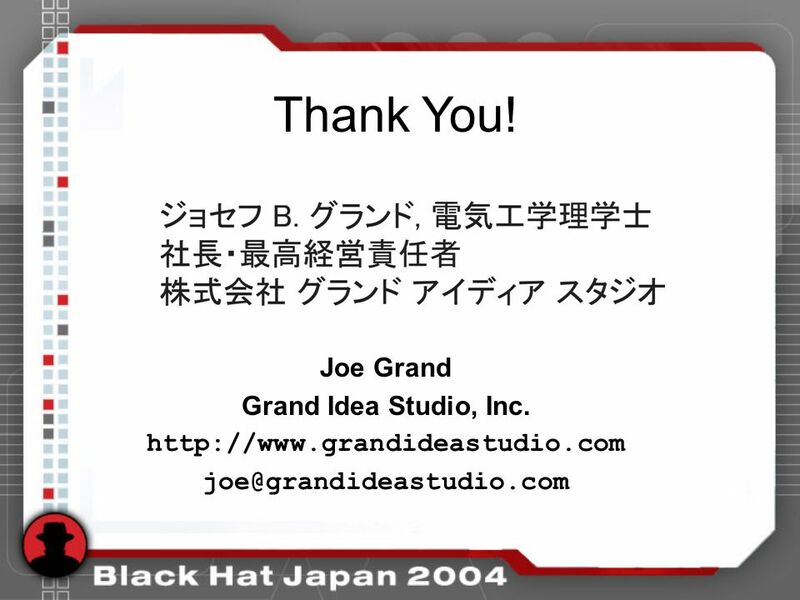 49 Joe Grand Grand Idea Studio, Inc. http://www.grandideastudio.com joe@grandideastudio.com Thank You! 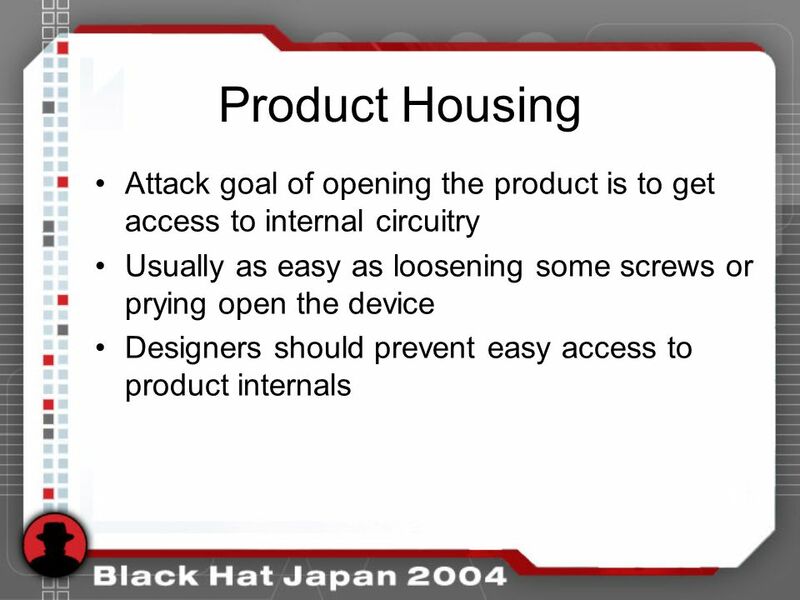 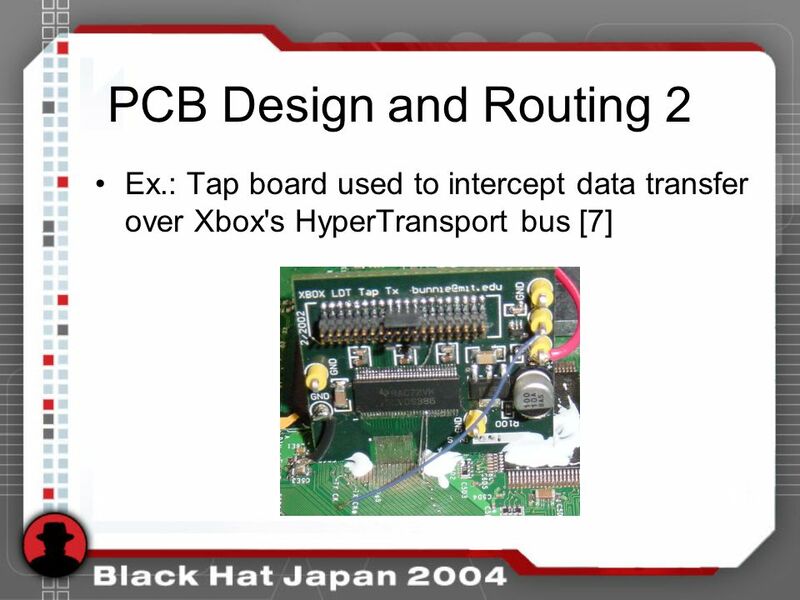 Download ppt "Understanding Hardware Security Joe Grand Grand Idea Studio, Inc. Black Hat Japan 2004 Briefings." 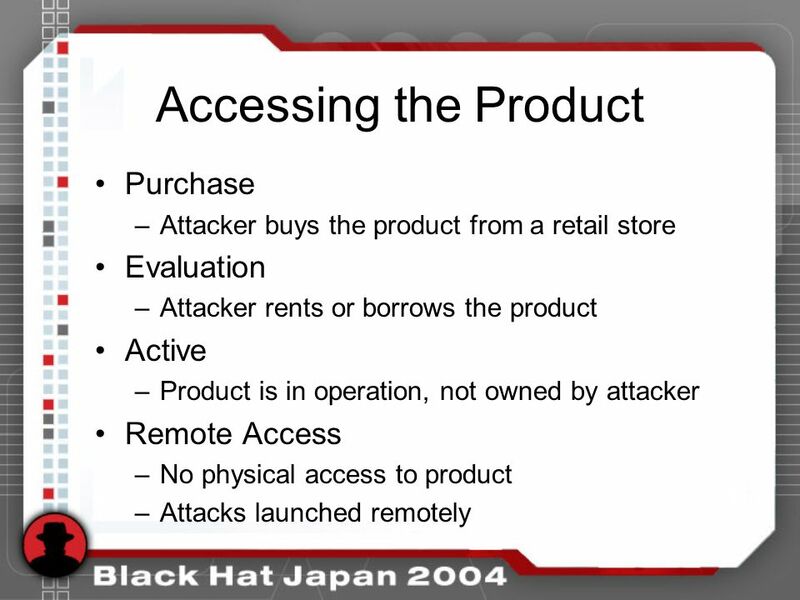 Slides created by: Professor Ian G. Harris Method of Attack, Physical Access Attacker has physical possession of the device  Many devices are small and. 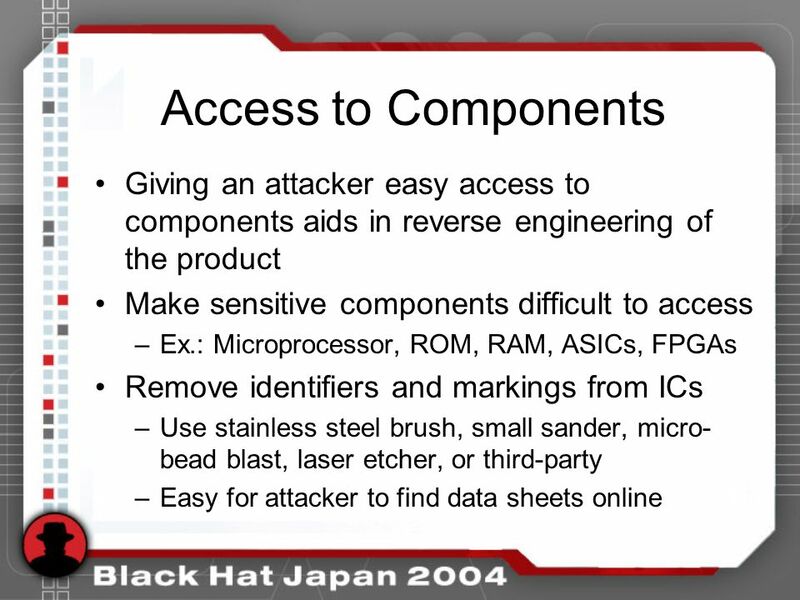 G53SEC 1 Hardware Security The (slightly) more tactile side of security. 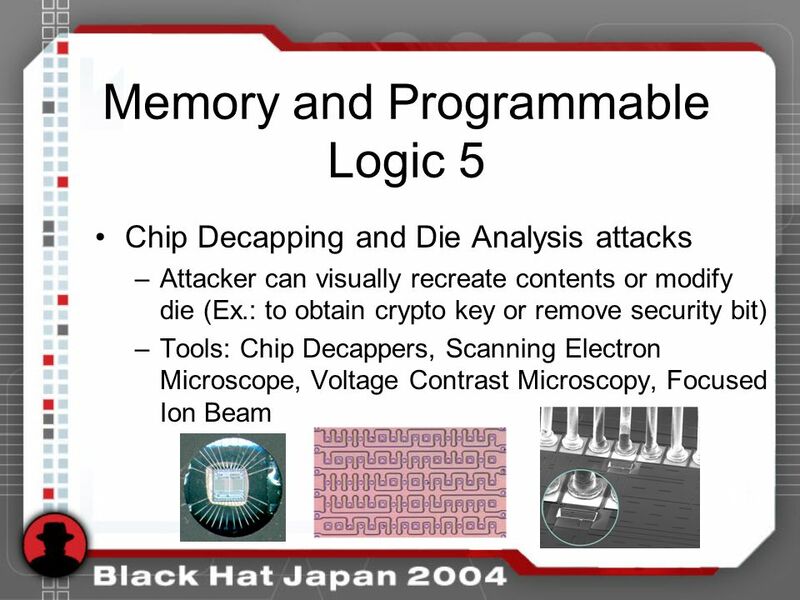 Microprocessor or Microcontroller Not just a case of “you say tomarto and I say tomayto” M. Smith, ECE University of Calgary, Canada. 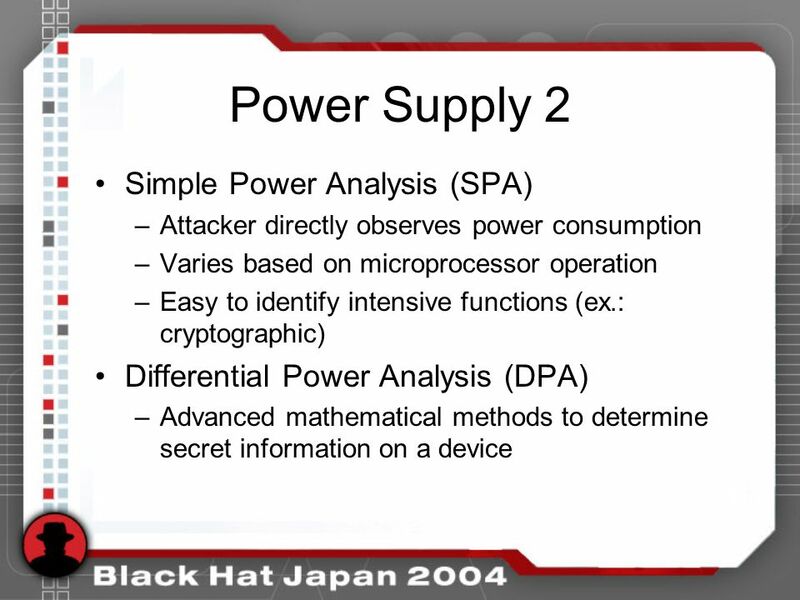 Differential Power Analysis of Smartcards How secure is your private information? 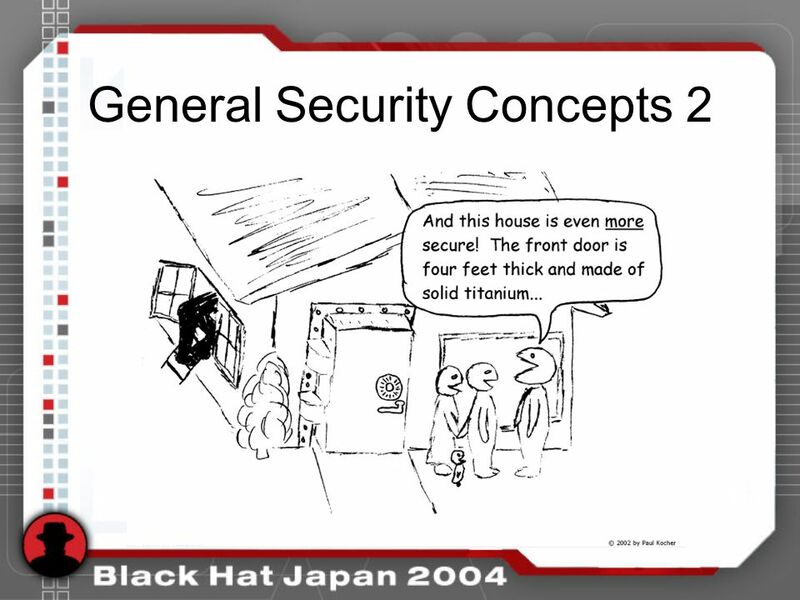 Author: Ryan Junee Supervisor: Matt Barrie. 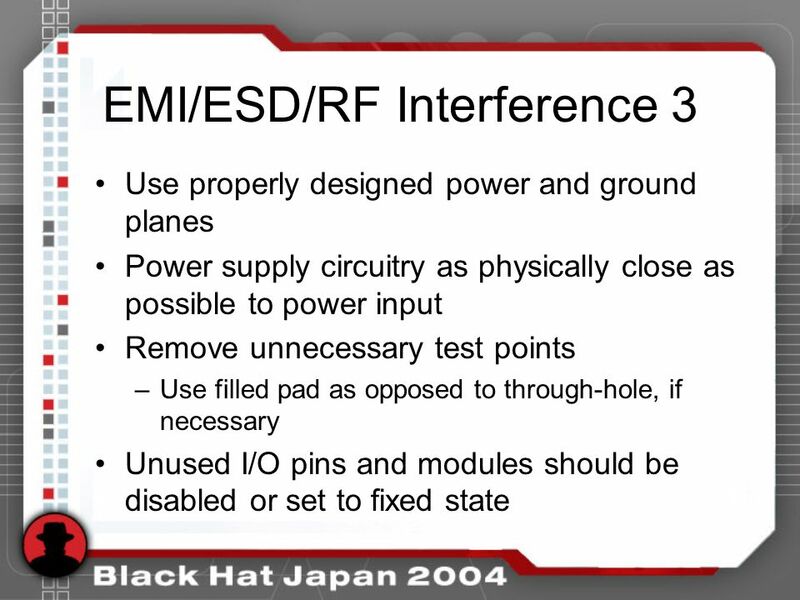 Electronics Principles & Applications Sixth Edition Chapter 10 Troubleshooting (student version) ©2003 Glencoe/McGraw-Hill Charles A. Schuler. 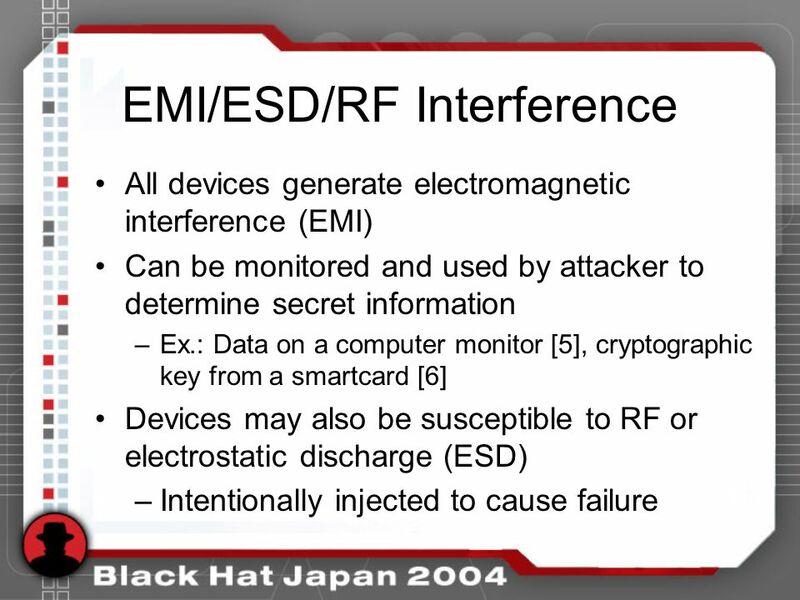 FIPS Section 5 – Physical Security Randall J. Easter Director, NIST CMVP Ken Lu CSE CMVP September 28, 2005. 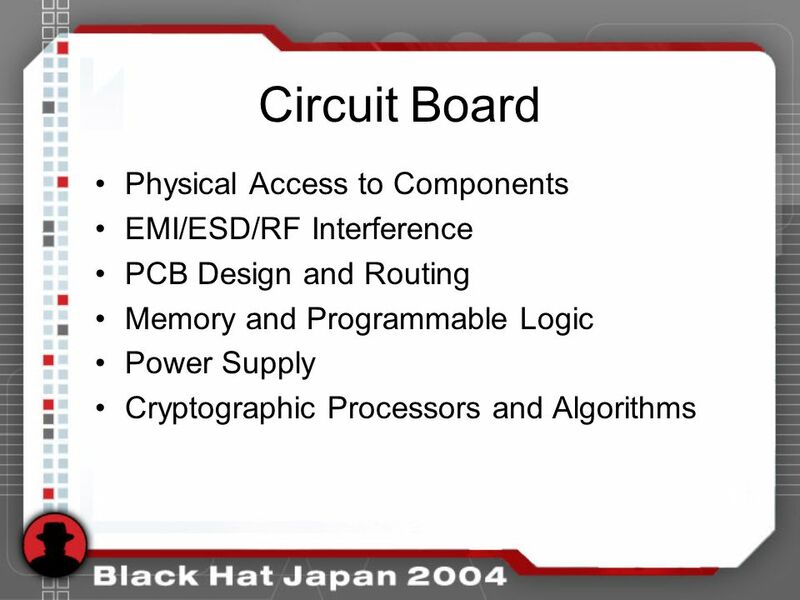 1Copyright © 2005 InfoGard Laboratories Proprietary 2005 Physical Security Conference Physical Security 101 Tom Caddy September 26, 2005. 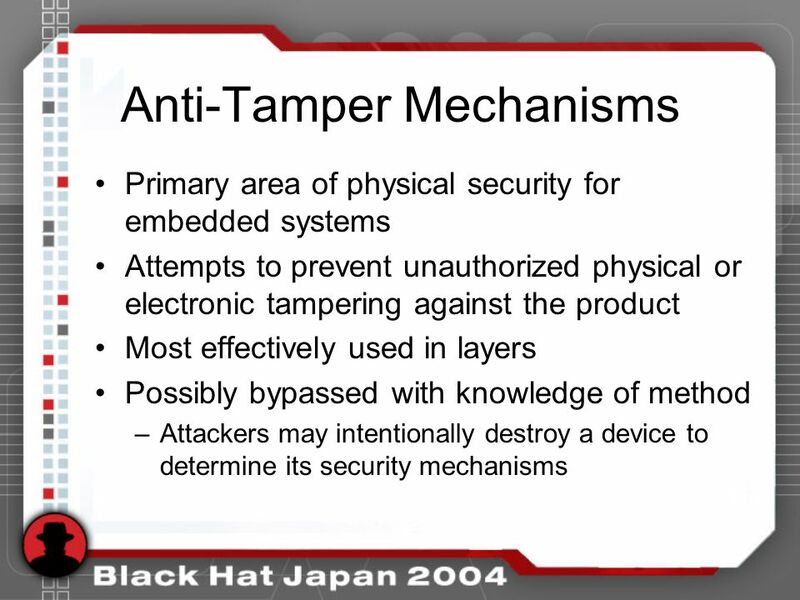 Typical Attack Techniques for Compromising Point of Sale PIN Entry Devices Physical Security Testing Workshop Steven Bowles, Project Manager Payment Assurance. 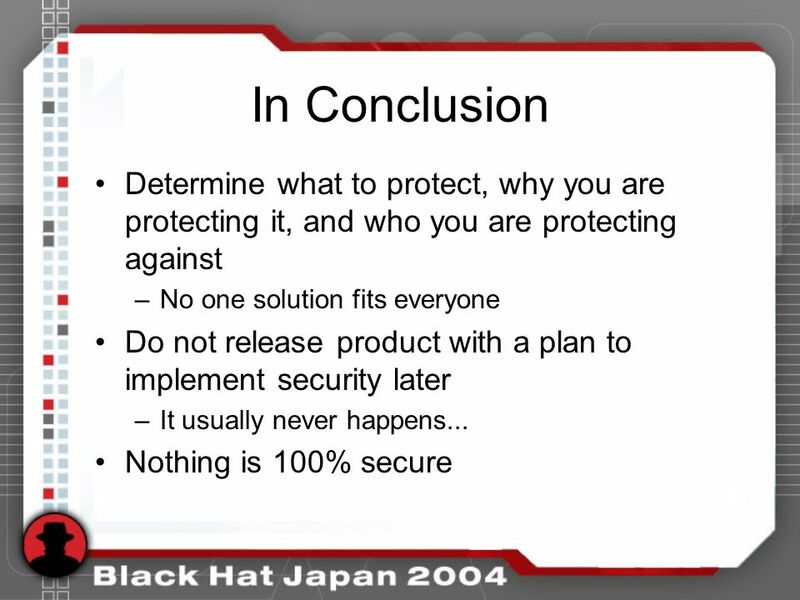 It’s always better live. 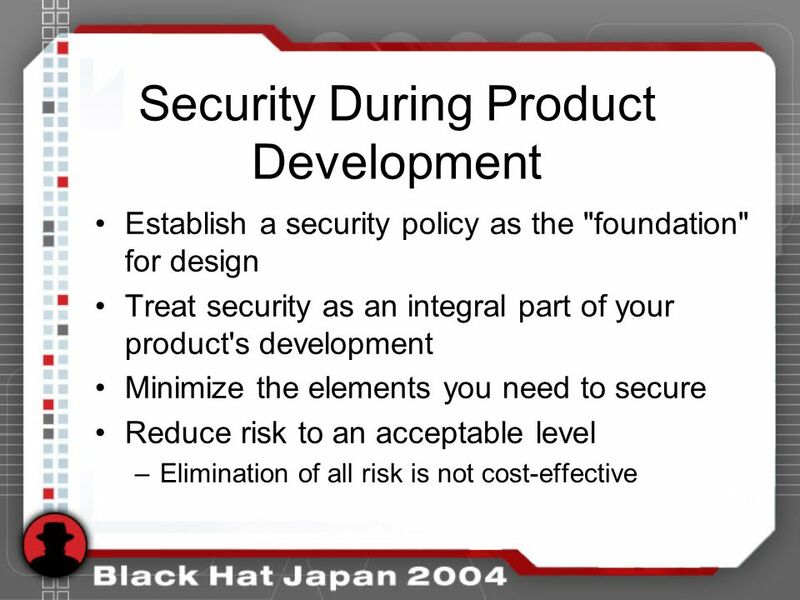 MSDN Events Security Best Practices Part 2 of 2 Reducing Vulnerabilities using Visual Studio 2008. 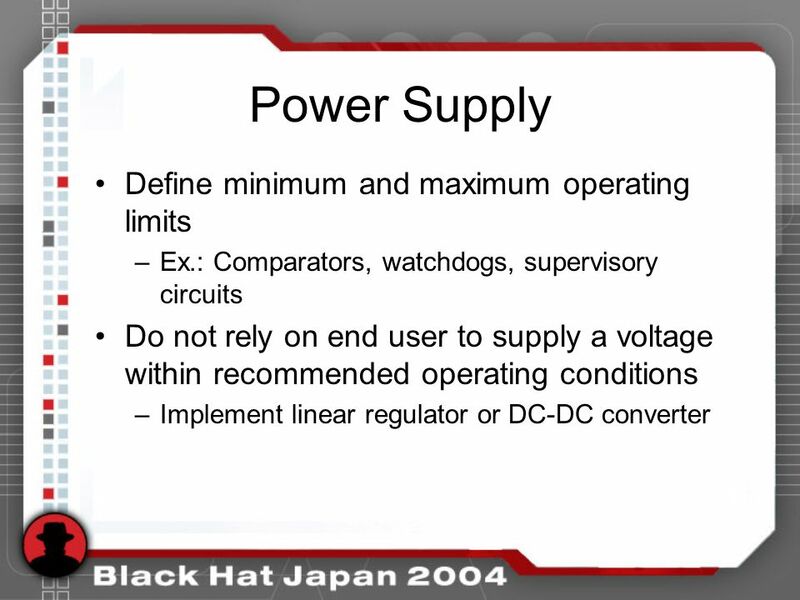 Astronomical Array Control & Acquisition System at NAOC Zhaowang Zhao Binxun Ye Research Labs for Astronomy National Astronomical Observatories, Chinese. 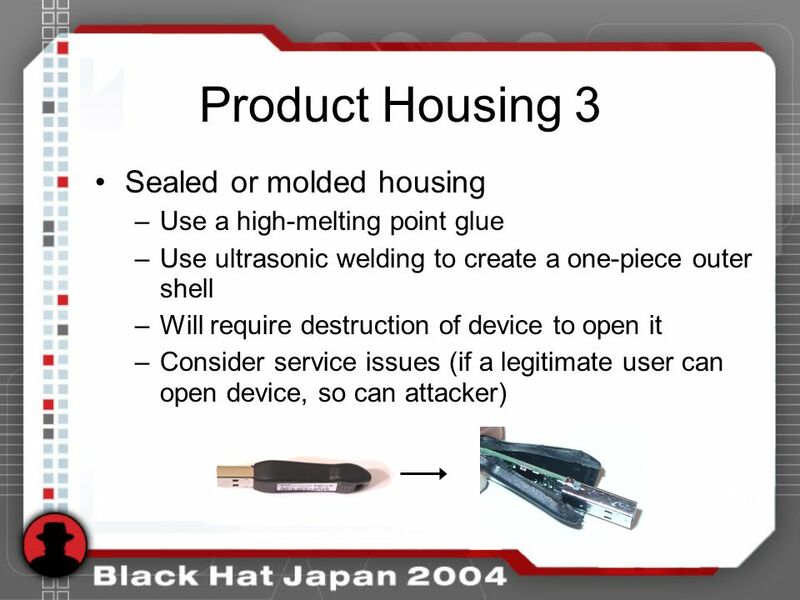 Iron Key and Portable Drive Security Zakary Littlefield. 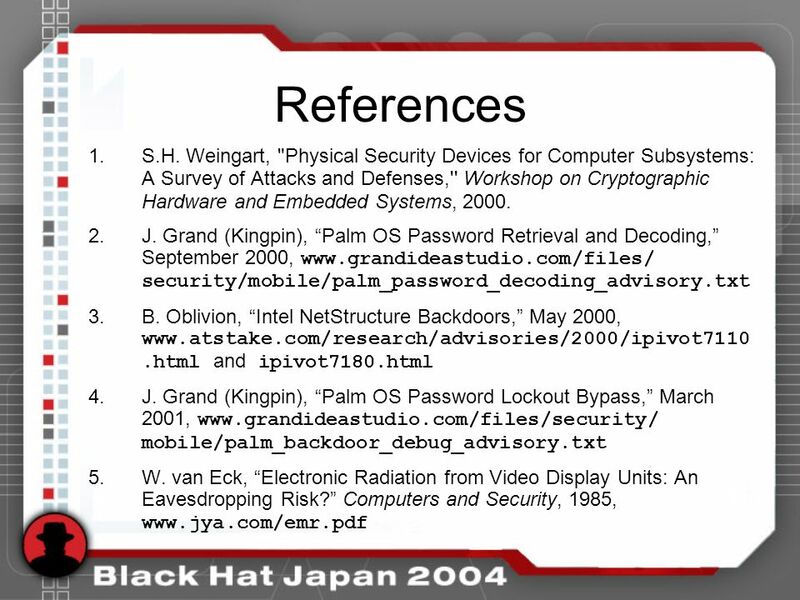 COSC 513 Operating Systems Project Presentation: Internet Security Instructor: Dr. Anvari Student: Ying Zhou Spring 2003.